Statoil and AET extend partnership in North Sea shuttle sector as Statoil awards a contract to AET to operate two specialist DP2 offshore loading shuttle tankers (OLSTs) on long-term charter. 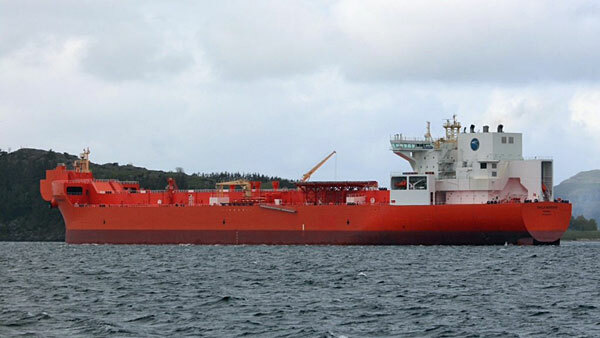 Statoil ASA and AET, one of the world’s leading petroleum and chemical tanker owners and operators, have announced that they are extending their partnership in the North Sea shuttle tanker sector. Statoil has awarded a long-term contract to AET, a subsidiary of Malaysian energy shipping group, MISC Berhad, to operate two specialist DP2 offshore loading shuttle tankers (OLSTs) on long-term charter. These new vessels will be in addition to the two AET DP2 ships currently on charter, in the same area, for Statoil. These new vessels are in addition to the two AET DP2 ships currently on charter in the same area for Statoil. The two existing DP2 tankers are owned and operated by AET Sea Shuttle AS (AETSS), a joint venture company formed in 2012 that is also 95% owned by AET and 5% by Norwegian ADS Shipping. The two twin skeg 125,000 dwt tankers will be built by Samsung Heavy Industries for delivery in 2019 and will be contracted to Statoil for operations both in oilfields on the Norwegian Continental Shelf of the North Sea, Norwegian Sea and the southern Barents Sea as well as on the UK Continental Shelf. Built to a superior specification with a fatigue life based on 30 years of operations in the North Sea, they will be fully capable of working in the harshest of weather conditions. Each will be equipped with winterisation features, high power thrusters, shaft generators and the latest generation of bow loading system. With a focus on energy efficiency, the shuttle tankers will be built with LNG dual-fuel for main and auxiliary engines and also an option to be fitted with a volatile organic compound (VOC) recovery system. Other environmental innovations will maximise fuel efficiency and minimise emissions. When in operation from 2019, these two DPSTs are expected to be the world’s first LNG fueled DPSTs and most energy efficient. “Statoil is pleased to award this contract to AET and their partners and thereby deepen and increase our cooperation within shuttle tanker operations. The agreed newbuild state-of-the-art DP2 shuttle tankers will strengthen Statoil’s position for safe, efficient and cost competitive transportation of offshore loaded crude oil production to our customers. The fuel efficiency features built into these vessels, including LNG duel fuel capabilities, will significantly reduce operational costs and climate emissions. As such this contract is strongly aligned with Statoil’s sharpened strategy,” says Statoil’s senior vice president for asset management in Marketing, Midstream and Processing, Grete Birgitte Haaland. “Statoil is global leader in this region and I am confident that we will deliver on the trust they continue to place in our capability to deliver flawless operations in this challenging region. We are proud to be extending our partnership with this world leading oil company,” adds Subramaniam. In 2012, AET formed a joint venture company - AET Sea Shuttle AS - 95% owned by AET and 5% owned by Norwegian ADS Shipping, to own and operate two North Sea DP vessels. The two new ships will also be owned and operated by the same joint venture partners. OSM Maritime Group will provide the lead technical management, supported by the MISC Group, during the newbuilding. OSM Maritime Group will provide the lead technical management, supported by the MISC Group, during the construction of the vessels.